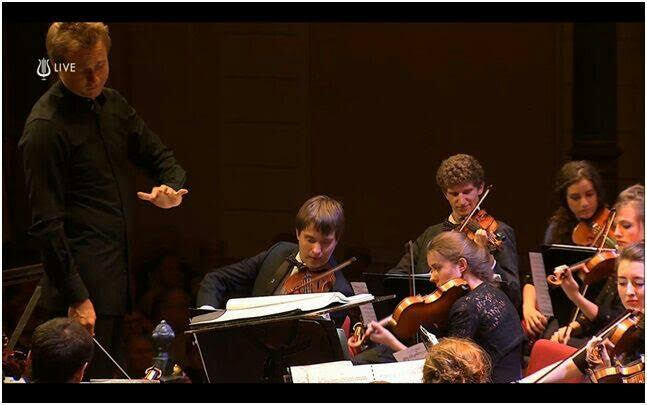 It’s reported that 32 Spanish teenagers will play in the EUYO this summer, with 80 more held in reserve. That’s terrific progress for Spanish musicianship, but will there be jobs in Spain when they grow up? Why should they be looking for work in Spain only? Quite. There are plenty of other countries for young orchestral musicians to struggle to find jobs in. But do there need to be? EUYO provides a terrific experience for music-making at a very high level, but that doesn’t mean all the participants wish to, or will go on to, jobs in the music sector at all, let alone in orchestras. Teachers need to make this clear to the kids, that playing in an orch. is not a realistic career goal these days. When you are teaching students of this level, it’s your job to help them to be practical in their professional aspirations. Unfortunately teachers are not doing their jobs. While yes, it would be lovely if the EUYO was full of potential doctors and students from other disciplines enjoying the “terrific experience”, it’s not. Once the students get to this level, the vast majority have their hearts set on playing professionally in an orchestra. Someone, at some point has to give them a reality check. That should be their teachers. They should be encouraged to pursue other more marketable skills in addition to their music. To answer “someone” above, no these kids don’t have to be finding jobs in Spain. They’re not. They’re very good and they’re going to Germany, the UK, France and winning jobs there. But they’re displacing German, British and French kids who also need jobs. It’s a lose lose situation. There are too many good music students and not enough jobs for them. Teachers at the professional level have got to stop propogating this situation. It’s great if your students are doing well at minor competitions and recitals but that doesn’t mean they have what it takes to win a job as a professional orch. player. Don’t encourage them down that road. If they win a position with EUYO, remind them that it’s not a guarantee that they’re going to win a prof. job later in life. They need other skills. I am experiencing this situation on the opposite side: sitting on juries where hundreds of qualified applicants are auditioning for jobs with flimsy contracts or no security. We try to find room for these young players on our sub lists so they don’t starve while taking auditions. (The head of MUV just came out with the statistic that the average audition taking time before a young musician wins a job is 7 years.) Some colleagues will opt for early retirement or go to part time hoping to make room for new blood. It doesn’t help. It’s like trying to stop a flood with a teaspoon. And teachers keep churning them out, hopeful, expecting jobs. These teachers are selfish and self serving or just plain ignorant if they are encouraging students unrealistically towards a professional orch. career. It needs to stop. And heaven help this new wave of talented young Spaniards who face a difficult and insecure profession, one in which, if they do succeed, will most certainly take them far away from family and friends. How exactly are they “displacing” German, Brit, French, etc. kids from what have always been international positions? The EUYO also includes German and French kids (Brits no more…) who are raising their chances of working for an orchestra in Germany or France by being in the EUYO. I presume to get to the level of the EUYO they have more than teachers backing them and are at music school or a conservatoire. Musicians have always travelled far from their family and friends and made new ones along the way. Lurker, it’s a given job market. There are x no. of places for x no. of musicians in orchestras professionally internationally. That includes Spaniards who work in Germany, French who work in Spain, whatever. Working in another country just means they’re occupying one of those places in another country. It doesn’t change the ratio. There are still too many young players for the given no. of full time orchestra jobs available internationally. Spaniards are particularly keen on staying close to home. Not just musicians, in every profession. It’s a culture which values family ties and proximity to family more than others, I believe. Yes, out of necessity they will work elsewhere, but everytime there’s a major audition in Spain there’s an influx of players who are holding positions in other countries trying to get back home to work. A major consideration here is mentioned in the article Norman linked above. This surge of Spanish players into the classical music world (EUYO in this case) is fairly recent and increasing exponentially every year. Lots of reasons politically for this which I won’t go into, but this is a new phenomenon. These young Spaniards, along with their sudden newfound importance in classical music, are realizing (as countries like the US and the UK did a no. of yrs. ago) that there just aren’t enough orchestra jobs for everyone. They are also realizing that they are probably going to have to be leaving their families and home if they want to work. Yes, as you say, “musicians have always travelled far from their family and friends” but this is new to these young Spaniards, and most of all to their families, their parents, in particular, who don’t understand. That’s why I’m saying that there has to be a reality check here. From teachers, conservatoire administrators, peers, whatever. These young players need to know what they are getting into before they’ve gambled away their lives on a career that might not pan out as they’d planned. That’s all. I wonder how many playing at this level are doing so as a hobby. One would have to do a survey to find out, but I’d be surprised if there were many. Unlike in some places at least these kids can still realistically envisage a future at the ‘European’ level. I am not surprised. There are excellent musicians from Spain, both trained in Spain and in foreign countries (mostly in The Netherlands, UK, and Germany). The problem of Spain is that in a 44.000.000 inhabitant country there are over +15 public university-level conservatoires, at least 10 private degree-granting schools and universities offering performance degrees, +80 pre-college level conservatoires, and only c.30 professional non-per-service orchestras, 7 opera theatres with a stable season, hundreds of municipal music schools (paying ridicuous salaries), and lots of per-service-orchestras offering low salaries (if any!). Every year there thousands of new music graduates in Spain who won’t have a job in their country. The solution for music in Spain is, in my opinion, closing down at least 8 public university-level conservatoires; closing down 70% of the pre-college level conservatoires (leaving them for students who really do have an early vocation to become professional musicians); starting programs to include music instrument lessons in primary and secondary schools; founding new public professional orchestras (at least one per 1.000.000 inhabitants); create a program of scholarships to help those who live in cities without a conservatoire and have talent to partially cover the cost living and studying in other cities in Spain; and to give content to all those auditoriums and theatres that were irresponsibly built in Spain 15 years ago. You make some great points, GG82. You offer an excellent perspective and some good possible solutions. Just basic fact-checking, I see a couple of errors. Spain’s population, as of 2017, was actually 46,570,000, a bit higher than what you quoted. Of the professional full-time orchs. in Spain, there are 27, not 30. I’m puzzled by your mention of 7 “stable” opera theatres. Of those which have their own orchs. I can only think of 4: Teatro Real in Madrid, Maestranza in Sevilla, Liceo in Barcelona and Les Artes in Valencia. What are the other 3? If they don’t have their own orchs. – if they “borrow” their orch. from another source – they don’t really count here. There are several other very high profile international musicians – competition winners and top orchestral players – who are from Extremadura. Likewise, some of the top international musicians in the world started out in these small, unlikely regional conservatories. Jose Gonzalez Granero, Principal Clarinet of SF Opera, began at Jaen Conservatory in Andalucia. Pascual Martinez Forteza, 2nd clarinet with NYPhil, began his studies at Baleares Conservatory. I believe that Spain should continue to make top music education available to these communities because as we’ve seen, some astounding talents have been born. I also disagree that there should be more publicly funded orchestras in Spain. Absolutely not. Look at what’s happened in Andalucia fighting for funding for 3 orchestras: Sevilla, Cordoba, Malaga. All 3 are struggling because the Junta is supporting too many orchestras. More orchestas would threaten funding for the existing ones. I can’t begin to tackle the Spanish educational system. It’s complex and I don’t pretend to fathom how it works. But I like what you say about limiting the no. of top level conservatories, the Superiores. That makes a lot of sense. Most of the graduates are going nowhere because there are just too many. Winning a place in a Conservatorio Superior makes students feel entitled to a professional career. It just doesn’t happen most of the time because they don’t have the level. That is a great suggestion. Very good to get your input on this subject. Sounds like you know Spain and you know the educational system. You’ve proposed some excellent solutions. Is this irony, or what did people not get about the EU? The EU is a common job market. Asking if there are jobs for Spanish kids in Spain, is like asking if there are jobs for kids from Florida in Florida. Get your brains updated folks, it’s not the 19th century anymore. Tamino, please read the whole thread. We know that. You just read the headline.